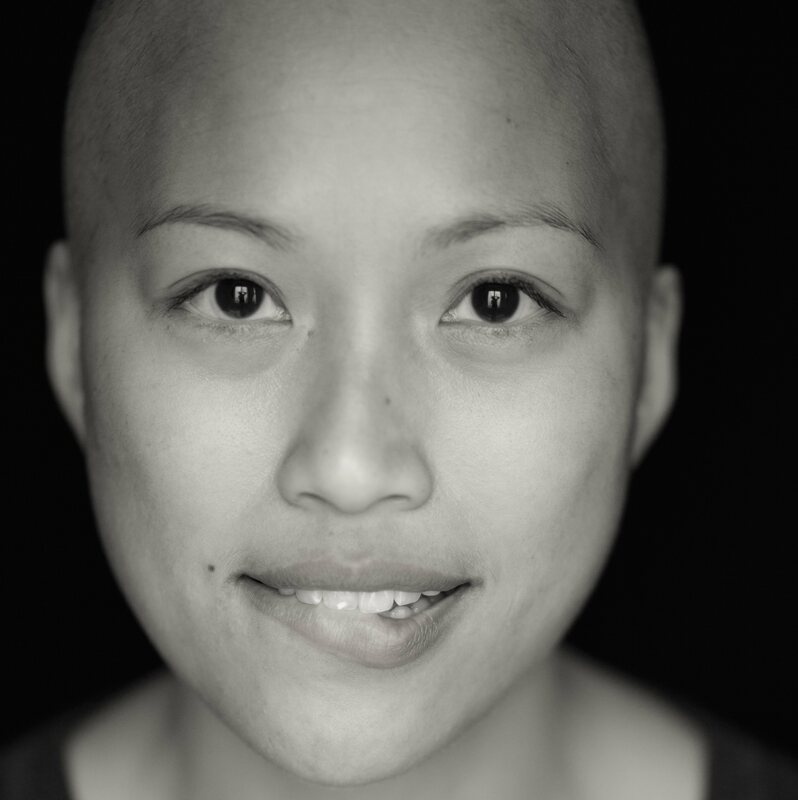 Christabel Cheung’s first book is an illness memoir that inks her custom tag on life after two diagnoses of cancer as a young adult. Here is a preview. In September 2008, at the age of 32, I was diagnosed with a type of blood cancer called Hodgkin’s Lymphoma. I was sick for over a year before I got this news, but thought my symptoms were just a combination of a nagging flu bug, nonprofit job stress, and over-training for marathons. I was very in touch with my body and in peak athletic condition – being a certified personal trainer for many years, having run 14 marathons up to that point, and even coaching for the National AIDS Marathon for several seasons. Nothing prepared me for cancer. Folks kept saying, “Don’t worry.” And that Hodgkin’s Lymphoma is the “good cancer,” because it boasts a near 93% cure rate with first line treatment, which was six months of ABVD chemotherapy. Even though I trolled pretty hard physically, isolated myself, and went to some very dark places emotionally, I somehow got through it. After finishing those six months of ABVD chemotherapy, I was told that I was in remission. I celebrated my remission with a personally forced trip to Hawaii, where I was too sick to do much of anything. But I did toast my remission with a glass of wine, and I got to meet my aviation hero Sully Sullenberger on my flight. Well, despite my circus of get-lost-cancer antics, a PET scan only a couple months later showed something small. “It’s probably nothing,” is what I was told. I spent 19 months in limbo, haunted by “probably nothing.” I kept telling myself, “I’m in remission,” over and over again, as I moved through a series of failed biopsy procedures and surgeries that left me with more pain and nerve damage. And at the end of those 19 months–days shy of my 34th birthday in 2011–I was told they had been wrong. No remission for me. Happy birthday … now, die! Moded and corroded. I became part of the 7% that fail first line treatment for Hodgkin’s. I guess someone needs to be in that unlucky margin. Since I was only in remission for a couple months at best, I was labeled with primary refractory Hodgkin’s Lymphoma and a high-risk for failure. Docs plotted on an extremely aggressive approach to second line treatment–higher than customary, doubled-up doses of high-dose chemotherapy; autologous bone marrow transplant (a.k.a. stem cell transplant); radiation therapy; and a clinical trial with a new drug for relapsed Hodgkin’s (SGN-35). When my cancer recurred, I opened myself up to receiving more help and support from friends, and did my best to cut out unhealthy relationships. I also started to blog about it all–first, to a closed network, and later, widely. This second part of aggressive treatment in my cancer journey made first line treatment look like a walk in the park. I went through every single step in the bone marrow transplant process until the final infusion, at which point, my lungs were deemed not healthy enough to continue. I lost 60% of my lungs. There have been many twists and turns from my initial treatment plan due to the consequences of past treatment on my body, changes in medical opinions, unforeseen obstacles like the national shortage on chemotherapy drugs, guidance from my spiritual path, and shifts in what I’ve wanted for myself over these years. Every aspect of my life has been challenged by cancer–my professional career, finances, health insurance, fertility, family, friendships, dating, and it goes on. Jade Gangster is my alter ego … because sometimes, I need to Jade Up. Hailing from Hong Kong, London, Detroit, and many places in between before settling in California and Hawai’i, Jade Gangster is a mash of .5 generation immigrant Chinese, Buddhist heritage, yoga practice, borrowed Native American tradition, middle-class, maybe a little boughetto, and other urban American influences that all bang on cancer. Jade symbolizes the human disease process, because this lustrous metamorphic gem is created by heat and pressure that produces profound physical and chemical change. Gangster is a metaphor for the young adult cancer tag, because cancer picked me–like it or not–and the only way out of this gang is when I die. Cancer isn’t funny, but it does have a sense of humor. I write about it, because it gives me courage.